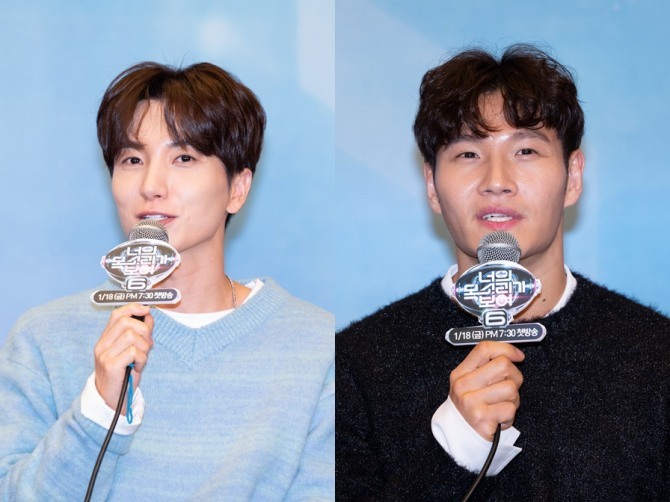 Super Junior’s Leeteuk will star in the new season of Mnet’s long-running show “I Can See Your Voice,” alongside singer Kim Jong-kook with whom he goes to the same gym. The new season is back with familiar faces and a slightly updated format: Lee, who has starred in the show since the very beginning, and Kim, who has been the face of the show since the fourth season. The revamped show premieres at 7:30 p.m. on Friday on both Mnet and tvN. Leeteuk, one of the original cast members, appeared proud of the show’s success, given the growing number of singing competition shows here. “I always say during a press conference that I want ‘I Can See Your Voice’ to become a program like ‘National Singing Contest’ (a singing show that has aired since 1980), and I feel good that it’s moving toward the goal step by step,” the singer said during a press conference in Seoul on Wednesday. Asked which celebrity guest he would like to see, Leeteuk said he would love to see trot singer Hong Jin-young, as he thinks she would be fun and would bring something new to the show. Kim also appeared excited at starring opposite the Super Junior member. “I go to the same gym as Leeteuk. I appear on many programs but I think we have one of the best chemistries,” he said of the fellow cast member. “Other than the visible truth, you have to trust your gut this season,” he said. On the mystery music game show, judges are given a few hints, and they have to tell apart bad singers from real talent. Bucking the tradition, the second round this season will see both good and bad singers singing together in a group, to make it more difficult for the panel to guess. The show’s unique format has been sold to nine countries, spawning similar shows in Vietnam, Thailand and Bulgaria to name a few. A look back on the singer hopefuls painted a clear picture of the show’s versatility, as each contestant from different walks of life showcased their own distinctive singing voices. 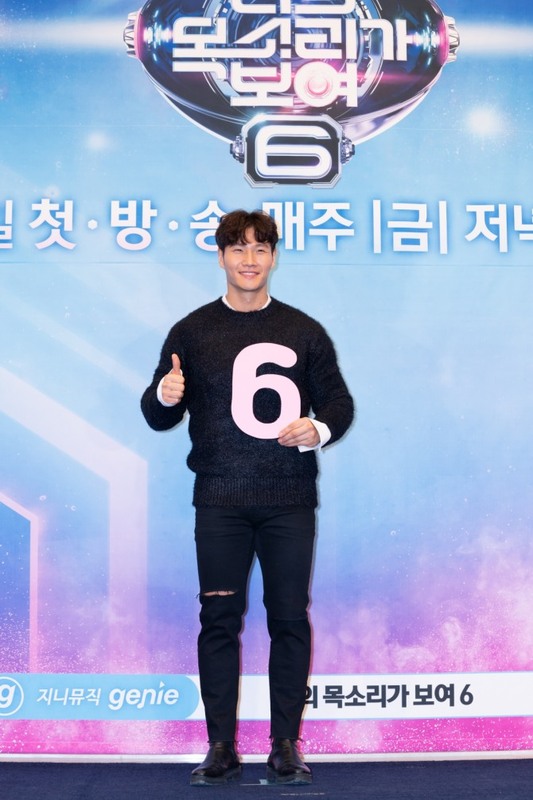 Since the first season in late February 2015, over 500 singer hopefuls -- both good and bad -- have appeared on the show. 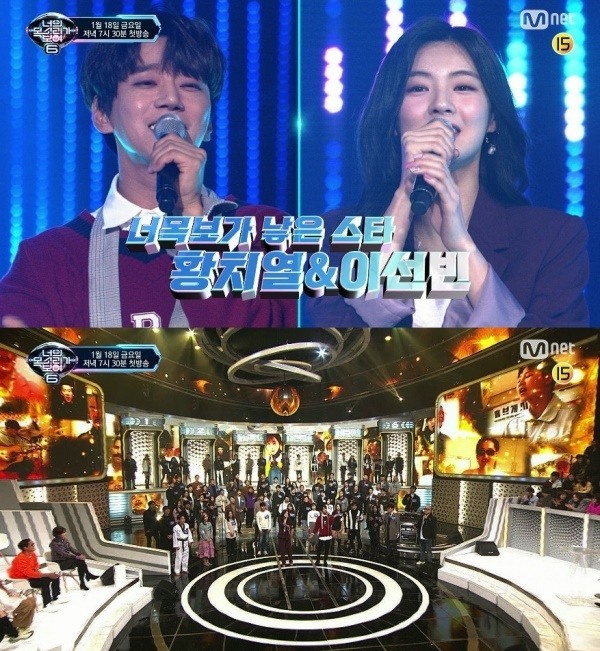 Friday’s episode will feature previous contestants Hwang Chi-yeul and Lee Sun-bin, who went on to become celebrities in their own right after appearing on the show.